Here is some helpful information that will make your stay a better one. 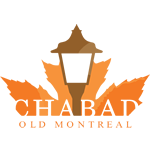 At Chabad of Old Montreal we have Kosher sandwiches for purchase during lunch hour. Mon- Thurs, 12:15 to 2 pm. For all other kosher food inquiries, click on the link above. Old Montreal's daily mincha minyan. Monday- Thursday: 12:40 PM during DST, otherwise 1:35 pm. Friday evening services times vary weekly. Call or email to confirm. Stop by and learn about Montreal's First Synagogues and Jewish community with pictures and information. Also get information on Montreal's large Jewish community of today, places to see, eat, or explore. There are many hotels within 5 minutes walking distance from Chabad. Smaller boutique hotels we recommend are L'Hotel or Hotel Gault. Larger hotels: The Intercontinental or Westin.